Bharti Airtel (“Airtel”), India’s largest mobile operator, today rolled out a new campaign reaffirming its solid position as India’s Fastest Mobile Network. The campaign, which has been conceived by Taproot Dentsu, will have TV and Digital legs. 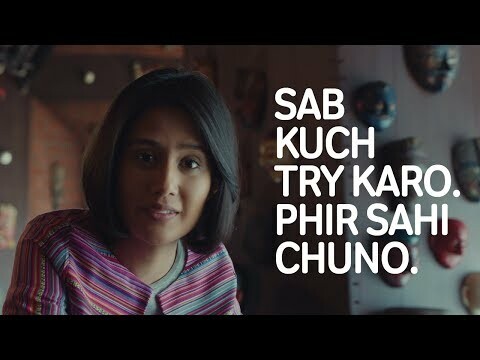 The new campaign takes a fresh approach with a bold and direct theme – “Sab Kuch Try Karo, Fir Sahi Chuno”. The communication calls out customers to decide which network is the best by trying all options themselves and not merely on the basis of hearsay. As per Ookla – the global leader in speedtest, Airtel continues to be the fastest mobile network in India (for details https://www.airtel.in/fastest-network). This is the third time in a row that Ookla has rated Airtel as India’s fastest network (Q3-Q4 2016, Q1–Q2 2017 and Q3-Q4 2017). The findings are based on Ookla's rigorous analysis of millions of consumer-initiated tests taken with Speedtest app. The tests are used to determine an operator’s Speed Score, which uses a modified trimean to demonstrate the download and upload speeds that are available across a provider’s network. According to Agnello Dias of Taproot Dentsu: "The idea was to communicate Airtel's confident belief that if one were to actually test all the network services, Airtel would come out best. When India's largest telecom network steps out and actually puts itself up for scrutiny by confidently encouraging all users to go out and test every other network before choosing the right one, it is a big bold step that asserts the brand’s confidence in its delivery. Airtel offers high speed 4G services across India. The Company recently conducted India’s first 5G test trial.